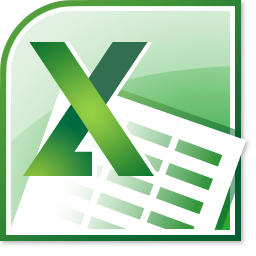 Excel is one of the most widely used spreadsheet packages currently in use. Spreadsheets allow a user to organise and manipulate data and perform calculations. Many people associate them with “number crunching” – however, they can be used for much more than this as delegates on our courses will discover. At all times we make use of “real life” examples during our Microsoft Excel training courses to assist in the learning of the product and encourage delegates to discuss the use of the product within their work environment, assisting them to get immediate benefit from their training. Set our below as downloads are the detailed course content for our standard Microsoft Excel 2010 training courses as an indication of what is covered. Please remember that if one of these is not an “ideal fit” for your needs, or you would like to combine elements from different levels, or need an earlier version, then please talk to us to discuss tailoring a course directly to your needs. The following two courses were initially developed for specific customers who wanted to focus on some of the key analytical aspects of Excel; we now offer them as part of our “standard” courses. This course is for those who already have data captured (or summarised) electronically, but would like to utilise Excel to further analyse their information to assist in the decision-making process. Overview: By using some of the formatting features and functions that Excel has available, this course will allow delegates to begin to analyse their business results to provide information to act upon. Prerequisites: Delegates should already be comfortable with using the basics of Excel for example by attendance on or working knowledge of the topics covered in the Universal Excel Foundation course. Microsoft Excel contains many features that can be used to extract information from data that is already available within an organisations financial systems; the purpose of this two day course is to show some of the tools and techniques that can be used to do this. The course is aimed mainly at people who work in finance and business modelling and covers everything Microsoft Excel can do to make your life easier, with a guarantee that you will learn something. Overview: This course helps users take full advantage of the analysis tools included as part of the Excel program. It covers some basic “good practice” for building effective spreadsheets as well as some of the more advanced techniques that Excel has in its armoury such as Databases, Pivot Tables and advanced Functions.